What´s more important to you? Short term satisfaction or your long-term happiness? Whether it is treating minor or advanced hair loss planning is important. Age, hair characteristics, goals and expectations. Can all dictate the planning of the first hair transplant. Your first hair transplant is when you have the best donor hair. Best hair density. Best skin laxity. After your first hair transplant, your hair and skin characteristics change. 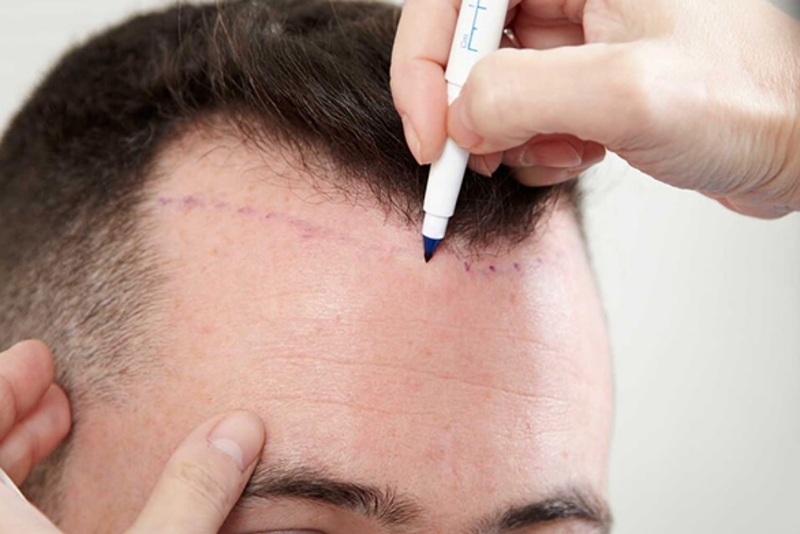 With planning and the correct technique, the required number of grafts can be removed whilst ensuring the donor area can maintain further hair restoration in the future. Hair loss is progressive, and the earlier age restoration is started often requires greater planning and care otherwise it can be impossible to maintain a natural looking balance of a head of hair in the future. Online consultation is a good first way to make contact for your hair loss assessment. Ask questions and receive answers without having to visit the Clinic. Treating more advanced hair loss at a later age is easier to predict a future hair loss pattern and ensure greater donor hair management even if hair loss progresses further. Another important point to consider is how the hair is removed from the donor area. Regardless of the technique, but for different reasons, if an educated extraction protocol has not adhered to it can mean detrimental changes to the hair and skin that cannot be repaired making any future hair transplant limited and occasionally impossible to perform. Large FUE sessions, for example, can lower the amount of hair remaining around the back and sides to the point the look is see-through and patchy hair growth. Be sure to understand the pros and cons of a hair transplant and how important that first decision is as it will determine your potential happiness for many years to come.